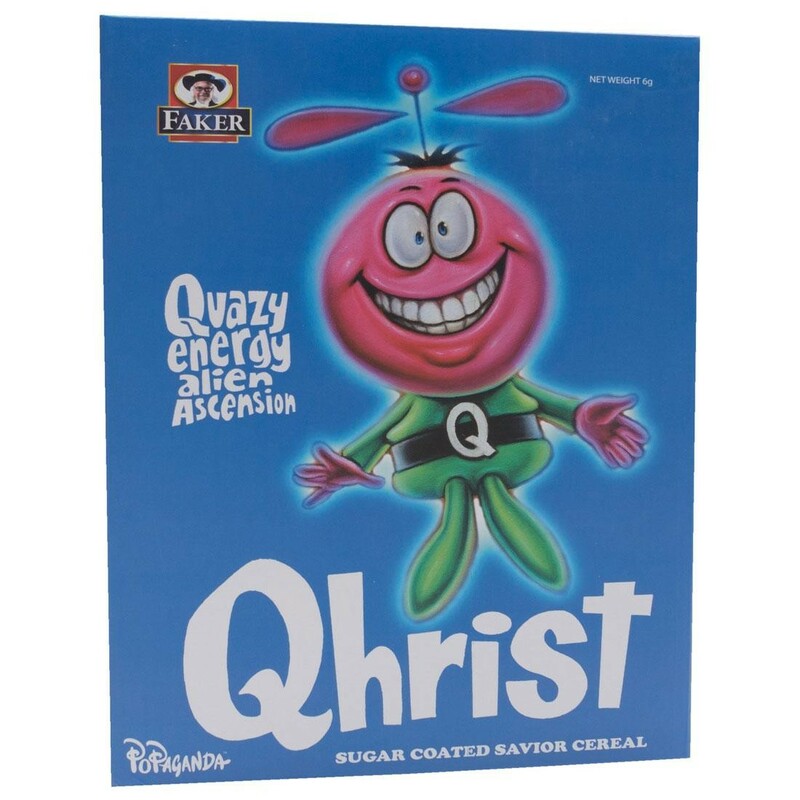 Introducing Qhrist, the quazy energy alien has joined Ron English's Cereal Killer series! 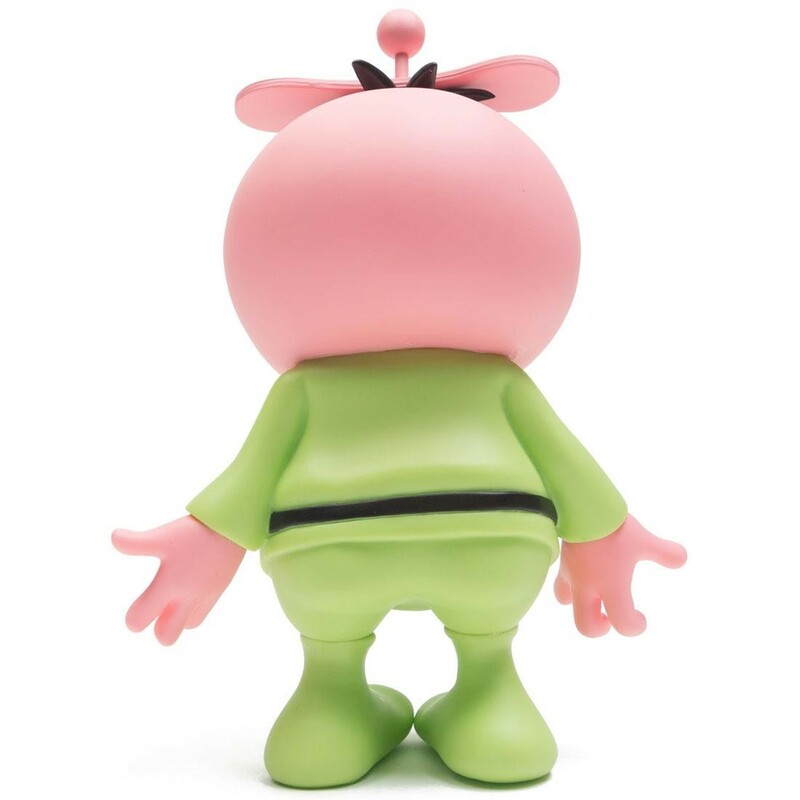 Standing about 8-inches tall, this 100% nutrition-free vinyl figure comes packaged in a box which harkens back to the days when sugary cereals captured the hearts of Young America by giving away cheap toys made in China in every box. Fatten up your vinyl art collection with the Qhrist Cereal Killers Last Fat Breakfast by Ron English Designer Vinyl Figure!